Are you in need of clean colostomy bags for yourself or for someone you provide care for? You want to make sure that you are choosing the right options, and we have plenty of great choices for you to consider when it comes to 1-piece ostomy bags for sale. 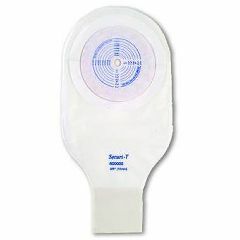 Some of the brands we have with one piece colostomy bags include SenSura, ActiveLife, Secure-T, and Premier. When you check out AllegroMedical.com, you will find a wealth of options available, and the best prices around. Our Best Price Guarantee will ensure that.